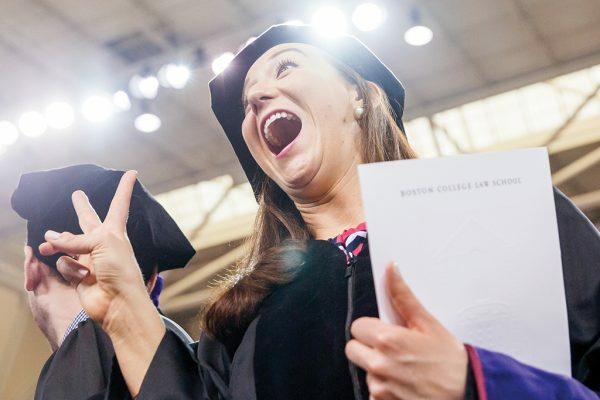 John Weaver ’08 argues for early regulation because it's hard to play catch-up. 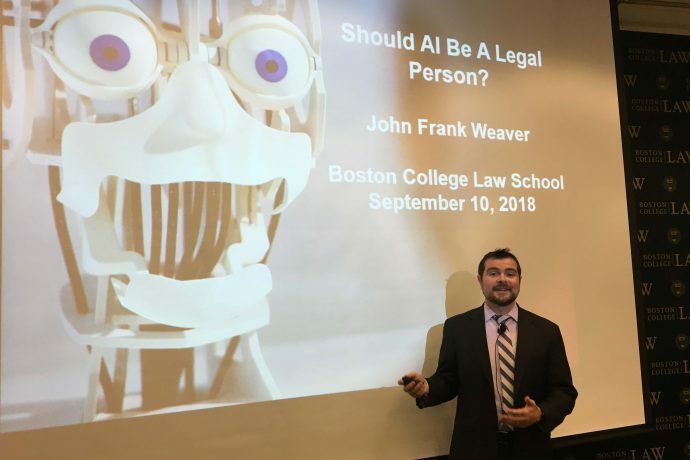 BC Law’s Program on Innovation and Entrepreneurship (PIE) kicked off its 2018-19 programming series this week with a lecture from John Frank Weaver ’08 on the legal rights of artificial intelligence (AI). Weaver, the author of Robots Are People Too, highlighted the rise of advanced and ubiquitous AI and autonomous technology, and the incapacity of the current legal system to address related issues. But even “weak” AI recreates an element of human decision-making, and Weaver noted how current laws, regulations, and policy don’t function properly when machines are making decisions. Weaver’s calls for AI regulation begin with granting Limited Legal Personhood to AI programs and devices. Once AI has status as a legal person, like a corporation or chartered municipality, further regulation and policy development becomes easier. Weaver forecast potential legal changes like granting AI speech protection, the right to contract, and status as an insurable entity that could immediately drive innovation. He also stressed how granting guardianship rights to AI could revolutionize eldercare. “It’s conceivable that a non-person can serve these guardian or caretaker functions, and our laws don’t anticipate it at all,” he said. PIE Faculty Director David Olson began the event by highlighting the program’s drive to “bring the worlds of innovation and entrepreneurship into the law school” through frequent events and partnerships. For more information on PIE and future events click here.